A great article was published in the July Preferred Customers edition of AMSOIL Magazine titled “Frictional losses account for big part of fuel energy inputs“. 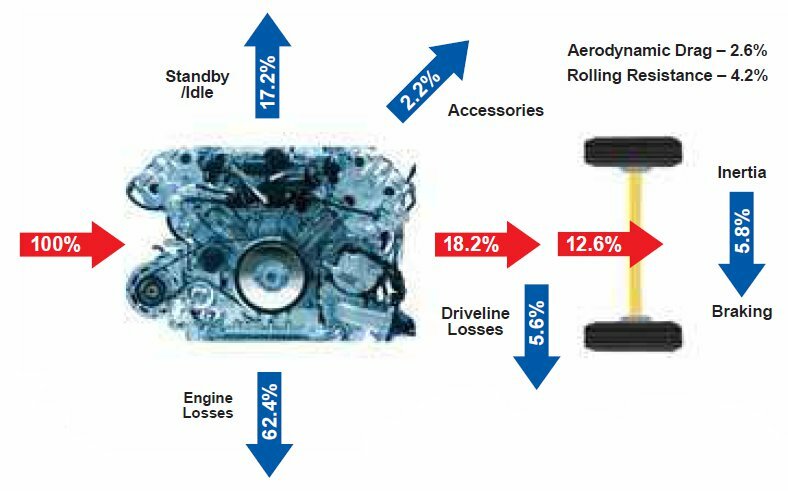 The article shows where most of the energy associated with a unit of fuel is consumed or wasted by a vehicle. The spoiler is that only about 12.6% of the fuel energy is passed through the system to drive the wheels of the vehicle. Think how your fuel economy could improve if you could decrease wasted energy by friction – even small gains in reducing friction will add up at the pump. I replaced the power steering fluid in my Mitsubishi Outlander over the past two weeks with Synthetic Universal Power Steering Fluid (PSF). 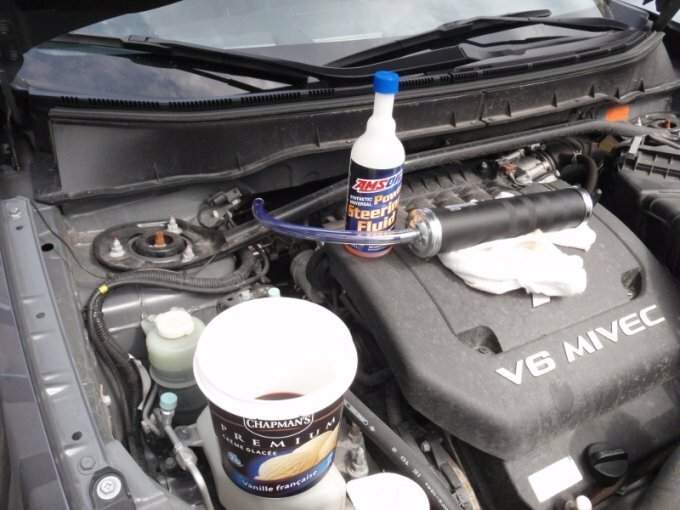 Be sure to check the application guide for your vehicle as some use ATF – like the 2006 Pontiac Vibe – instead of PSF. Using a hand pump I was able to remove about 150ml of fluid from the reservoir at a time. Then I drove the vehicle for a day to work the new fluid into the system. I did this for 3 bottles of PSF which is ~1.5L since the power steering system capacity is 1L on my Outlander.